Also see this post for MAPS. 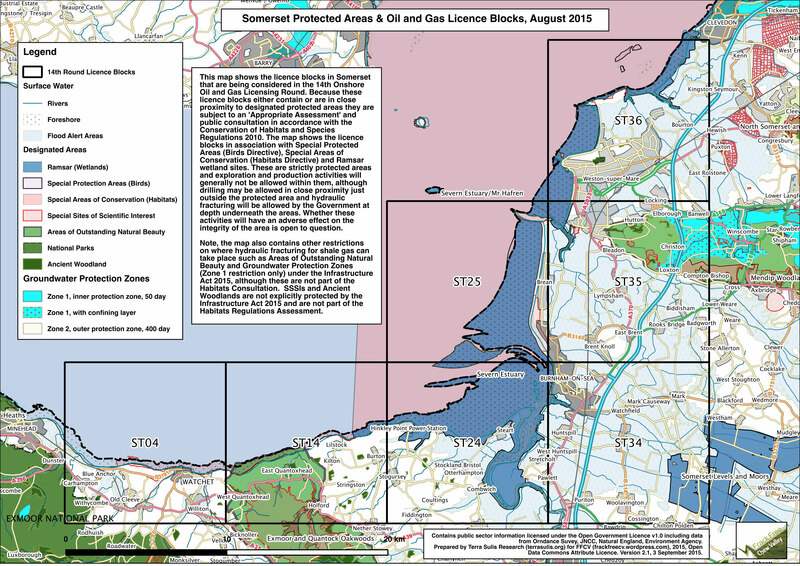 Note that the area licensed along the Somerset coast (below) is now the only area in Somerset licensed for unconventional gas and oil exploration. Nov 2016. Sustainable Energy – without the hot air – this book is written by Professor David MacKay of Cambridge University. You can download the book for your personal use as a PDF. Professor MacKay is also the Chief Scientific Adviser to the Department of Energy and Climate Change. He is currently writing a report for DECC on the impact of shale gas on green house gas emissions. 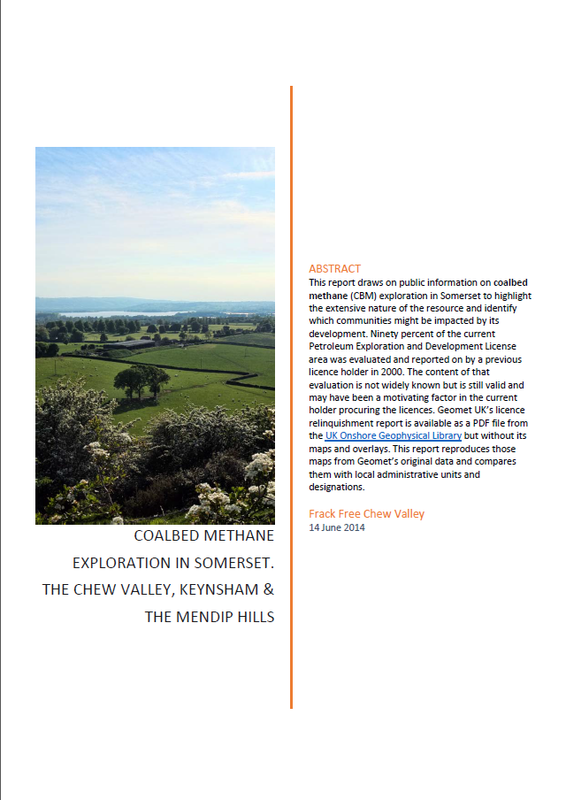 Transition Keynsham – a community group in Keynsham where UK Methane are seeking Coalbed Methane exploration and production. The local papers periodically report on unconventional gas issues and opinions, including the Chew Valley Gazette, The Midsomer Norton and Radstock Journal and the Somerset Guardian. Don’t forget to visit Frack-OFF who have a great range of resources. The Member of Parliament for North East Somerset is Mr Jacob Rees-Mogg. He chooses not to publish his fracking articles on his web site. The Timsbury Environment Group published a report of their meeting with him regarding climate change and energy – read it here.